If you’re not sure what to expect – starting an online course can be scary. Online learning myths have convinced a lot of people that the online alternative is not as good as the traditional one. Some myths claim that they won’t help you advance your career, while others claim that they are not as good as regular courses. These myths are simply not true. 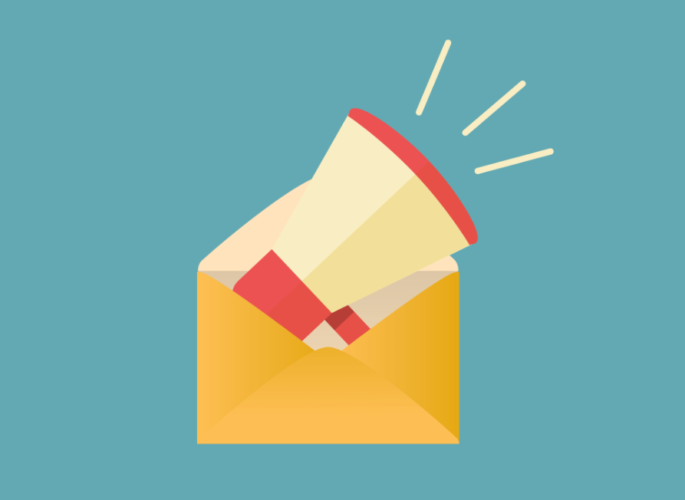 If you have been hesitant to give online courses a try, we are here to tell you that there is nothing to be afraid of – even more, there’s actually a lot to be gained. An online course is a class that is taught through the internet. Learning online allows you to access education from great distances without having to attend an in-class lesson. Course materials are usually provided completely online. These materials can come in the form of eBooks (electronic books you can read online), video lectures, podcasts (audio files) and other internet resources. Online materials result in more affordable costs for students. Many online courses can be completed at your own pace, though there are some that feature more structure. A very wide variety of topics, a lower cost and self-pacing make online courses a very attractive option for many people. So, why does online learning scare so many people? The short answer is a fear of the unknown. Online learning is still new, which means most people know only what they have heard from others. Since there are so many people who hesitate to try anything new, online courses are an easy target for myths, but the truth becomes clear once you research the topic. The fact is, online courses are more affordable, more convenient and, according to Forbes, just as effective as traditional in-class courses. In this article, we will clear up all of the online myths that you might have heard. As a result, you will feel more confident and be much more knowledgeable about online courses. We’ve collected 15 of the most common online learning myths in an attempt to prove them all wrong. Let’s dive in! One of the biggest misconceptions about online schooling is that employers don’t respect online degrees. This is simply not the case. According to USNews, only 5% of human resource manages said they weren’t interested in candidates who took digital courses. 62% said they were interested in online students, but needed to learn more about it. Most employers take each job candidate at face value, relying on a combination of first impressions, work history and educational performance. As online education becomes more and more common, employers become less and less skeptical. Some people assume that since online courses are not conducted face to face, they provide less interaction with your professor and fellow students. In reality, many online courses require a certain level of class participation in order to pass. Some course programs, such as those offered by Coursera, require you to complete team assignments, which could include group presentations and essays. Students are encouraged to communicate using online collaborative tools such as Skype and Google Hangouts. It is true that online courses require a certain level of focus and participation, but so do traditional brick and mortar schools. The required level of commitment can vary widely depending on the particular course you decide to take. Some online course platforms, such as Udemy, allow students to complete courses at their own pace. Udemy’s courses offer on-demand video lectures and supplemental reading which you can view when it’s convenient for you. Once you purchase a course, you can access the course materials for life. On the other hand, degree programs offered through online universities or degree platforms, such as Coursera, require a higher level of commitment, and feature assignment deadlines and participation requirements. On the whole, online courses require no more focus than traditional schooling, and often require even less since there is no commute and no concrete class schedule. A diploma mill is a phony online university that sells degrees and transcripts without the proper education to back them up. Some diploma mills require zero academic input. They offer degrees to anyone willing to pay tuition. The reality is that diploma mills are much less common than people think, and anyone convinced otherwise has become a victim of online learning myths. Companies that offer fake degrees exist, but these fake programs are not “schools” in any sense of the word. A better comparison would be to black market scammers who provide fake IDs and phony passports. A legitimate online course will not offer a degree or certification in return for cash and zero scholarly effort. 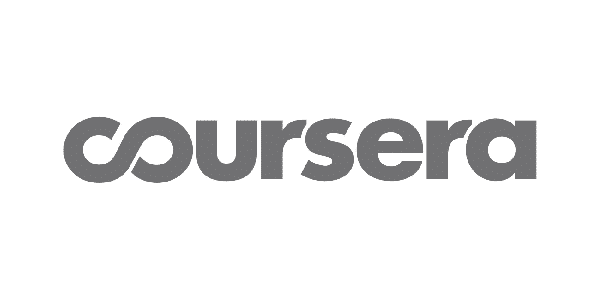 For example, Coursera offers a Master’s Degree in Computer Science from ASU, which is ranked in the Top 5 for post-graduation employment by The Wall Street Journal. Many people believe that online education platforms do not offer full-time degree programs. Not true. The reality is that not only can you earn legitimate academic background, but you can also earn degrees ranging from an associate’s degree to a doctorate. According to the Center for Online Education, 29% of online students are pursuing their associate’s degree, 42% are studying for a bachelor’s, 27% are aiming for a master’s and 3% are even earning a doctorate. There are also online course platforms that offer educational opportunities without a degree attached. Some online students are solely focused on learning a new skill or improving a skill they already have. In contrast, there are also online platforms, such as Coursera, that offer accredited degree programs, created by some of the most prestigious schools in the country. Much like anything else, the options are varied, ranging from single lesson courses to multiple year programs. While there are plenty of self-paced online education options available, many programs are structured much like a on-site school; Assignments are due weekly and students are required to participate. Some people believe that self-paced programs are too flexible to be effective, but this is just another one of those pesky online learning myths. In fact, a study by the NCBI showed that students who had control over their learning schedules significantly outperformed students who had no control. If you’re looking for self-paced online courses, there are plenty of options available. For instance, PluralSight offers access to their entire catalog of courses for a low monthly subscription fee. 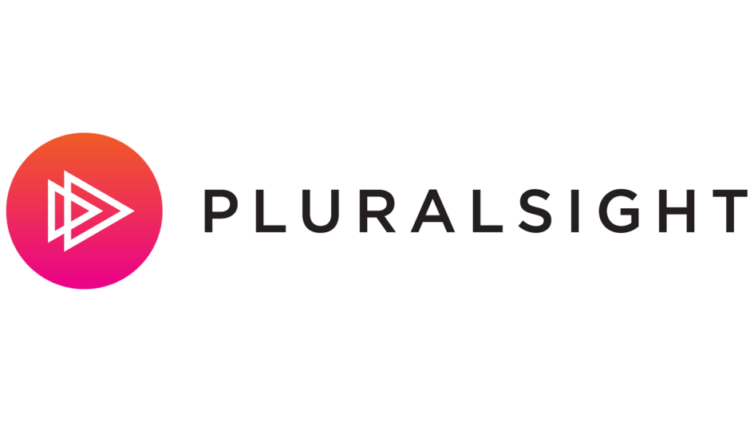 PluralSight courses are self-paced and high quality. If you believe that online education is more expensive, then you better check your facts. While online degree programs are often more expensive than local community colleges, they are significantly more affordable than traditional universities. According to the University of the Potomac, the average cost of a traditional four-year degree is $80,000, while the average online degree costs $30,000. Here’s an actual example: On Coursera, a Master’s of Business Administration from the University of Illinois costs $21,000, compared to over $83,000 if you were to earn the same degree on-campus. Those who are not interested in completing a degree face an even lower cost. For example, online courses from Udemy start for as low as $10.99. Accreditation is a validation process in which schools undergo evaluation by a peer reviewed board. A school awarded accreditation meets the standards of the accreditation agency. Many employers and recruiters only recognize degrees from accredited schools. One of the most common online learning myths is that online schools are not accredited. Wrong again. These days, most online schools have the badge of approval from regional accreditation agencies. According to 50States, accredited online schools are held to the same high standard as traditional schools. It is important to research the accreditation of any school you are planning to attend, regardless of its format. You should also research which accreditation body your chosen field holds in the highest esteem. It’s also important to note that only accredited schools are eligible for financial aid. For example, there are dozens of different business school accreditation bodies, but the Accreditation Council for Business Schools and Programs (ACBSP) is the most widely respected and accepted. Coursera offers several accredited degree programs, offered by several the most well-regarded universities in the world. It’s easy to assume that online learning could never compete with the on-campus level and experience. Many are afraid that they won’t get the same quality out of their online courses, compared to their onsite counterparts. Since there are so many online courses available, low quality courses can’t survive among the large number of high-quality courses. A great example is the online learning platform, Skillshare. Many of the courses offered by Skillshare feature tens of thousands of students, and for good reason. According to Purdue Global, the percentage of students enrolled in traditional on-campus has been decreasing every year. The cause? Online courses, such as the ones offered by Skillshare, are of a higher quality than ever before. Some people believe that plagiarism is practically undetectable when you’re an online student. In reality, plagiarism is even harder to commit in online courses because of the tools available to online professors. Instructors use smart plagiarism detection tools to determine whether or not a paper is a unique work. Coursera even features a ‘Flag Plagiarism’ button, which allows online students to alert the platform if they see that one of their co-students is cheating. Plagiarism is considered one of the worst sins an academic can commit. As a result, online students who are caught plagiarizing often face expulsion. Online learning students sometimes enroll in online courses expecting an easy ride. According to a study by USNews, only 35% of online bachelor’s degree students graduated within 6 years of enrolling in courses. The reason? Some students enroll believing that it will be a breeze. Students are expected to independently complete their reading and complete their assignments, which requires self-motivation. Students who assume they will have a smaller workload will also be disappointed. Online education platforms require the same amount of work as brick and mortar schools. A school’s curriculum must meet strict educational standards in order to be awarded accreditation. As a result, students should expect the same curricular expectations as any other school. Any new skill takes practice, and that includes becoming familiar with computers and technology. Contrary to one of the most widespread online learning myths, most platforms require very little computer knowledge since they are designed to be very straightforward and user friendly. Udemy even offers a course titled How to Become Tech Savvy for those looking to learn the basics of modern technology. Online course platforms are geared towards adult learners, many of which are still just learning how to navigate the internet. It’s true that you’ll require basic computer knowledge, but most actions are completed with a simple mouse click. The demographic most often associated with technology issues are senior citizens. According to the New York Times, 10% of Coursera students are in the 60-plus age group, which goes to show that it doesn’t matter how old you are or what skill level you have, you can be successful at online learning.. If you have any tech-related questions, you should never be afraid to ask your online academic adviser. Some people believe that online schools do not offer financial aid or accept scholarships. Again – this assumption is incorrect. The process of applying for financial aid is the same as any other school. For example, to apply in the United States students fill out the Free Application for Federal Student Aid, or FAFSA. Online schools use the FAFSA application to determine a student’s financial aid award amount. In fact, according to a study by Learning House, 81% of online students fit the criteria of a nontraditional student, who more usually eligible to receive financial aid. According to Rick Wilder, director of student financial affairs at the University of Florida, the financial aid process is “identical” for both online schools and brick and mortar schools. For example, all of the accredited degree programs offered by Coursera are eligible for financial aid through the universities that run the course. Students who come from low-income households can use their federal student loans and financial grants to complete a full education. One of the most common online learning myths is that all of the courses are centered around technological topics, such as programming and data science. While it’s true that there are a lot of tech-focused courses available, topics covered are just as versatile as on-campus schools. According to a study by USNews, healthcare (31% of students) and business degrees (30%) are far and away the most popular online choices. Online courses sites cover a very large variety of topics. If you’re looking for a learning platform that covers a large number of topics, look no further than Skillshare their platform offers more than 20,000 courses ranging in topics from business, to photography, writing and even film. This might be the biggest misconception of them all. Online courses are perhaps the most convenient and effective way to learn new job skills. Since many online courses are so flexible, they are a perfect match for anyone with a busy schedule. If you are too busy with work, there are plenty of online learning platforms that offer completely self-paced experiences. It doesn’t matter which industry you work for, there is sure to be an online class that would benefit your day-to-day work performance. Udemy alone features over 65,000 separate courses, with topics covering healthcare, personal development, IT, business, design and more, all taught by experts in their field. If you work in the technology field, you might find Treehouse’s 220+ tech-focused online courses particularly helpful. The options are many, the complications few. There is no doubt that pursuing an online education wrongly holds a bad reputation. Most online learning myths are simply not true. The only way to debunk these claims is to re-educate those who have already made up their minds about the online course format (especially if it’s yourself..). If more people knew the truth about these common misconceptions, there is no doubt that the public opinion would change. Do you have friends and family who are skeptical of online learning? Share this article with them. If you’d like to quickly compare several of the most popular online course options, you can check out our informative and helpful Online Education page.